As promised, I’ve written up my first tutorial about orchestration! From now on, I’ll frequently add tutorials, tips-and tricks and other helpful hints about music production to my blog and I hope some of you will find it useful! My posts will be in random order and will not follow any ‘beginner-to-advanced’ scheme, but I’ll rather write about things and techniques I regulary use in my own productions. It’s also likely that most of my tutorials will be published shortly after I stumble across a new feature of my DAW, discover an exciting orchestration technique in classical score, or simply when I learn something new that I think is worth to be shared. So let’s start off with my first tutorial! This time, we’ll have a look on one of my approaches to add motion, flow and interest to basic string ostinatos! 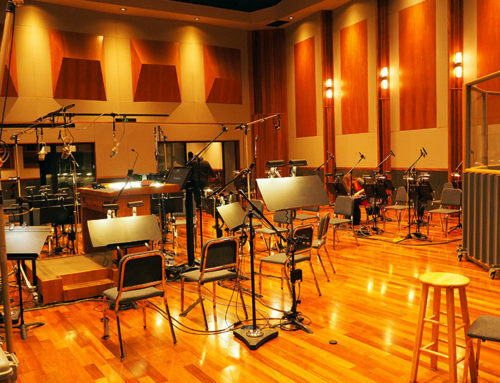 Ever since Hans Zimmer’s soundtrack to Batman Begins, we all love epic ostinatos in strings. According to Wikipedia, “an ostinato is a motif or phrase that persistently repeats in the same musical voice”. 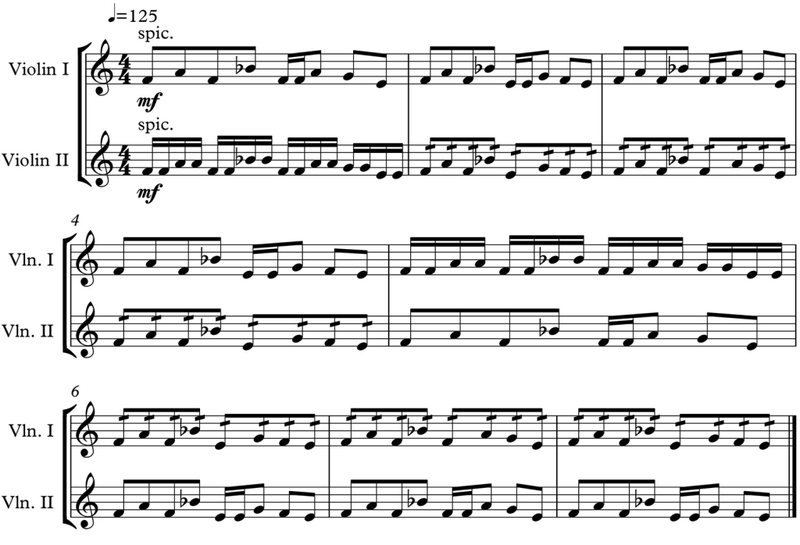 In other words, it could be a pattern of notes repeated over and over again – a technique used quite frequently in accompaniments to add pulse and motion to an arrangement. The string section is probably the most versatile section of the entire orchestra, and beside for melody, it is often used to drive the music forward. Generally, strings are very agile, which makes those instruments perfectly suitable for playing fast repeated notes and precise ostinatos, even at higher tempos. The above example is more fluent and the gaps between the notes are obviously smaller, but the phrase is also noticably different from our initial idea. While the accents on the original notes ensure that the character of our ostinato is maintained, the motif now lacks some of its initial clarity. Now, what happens is that the accents sound more natural because the first violins can concentrate soley on the main notes of our pattern, while the second violins are used to provide the ‘flow’. The faster part in the second violins is also less difficult to play as there’s no need to perform accents anymore. In the above example, notice the slight change in timbre in bar 5. 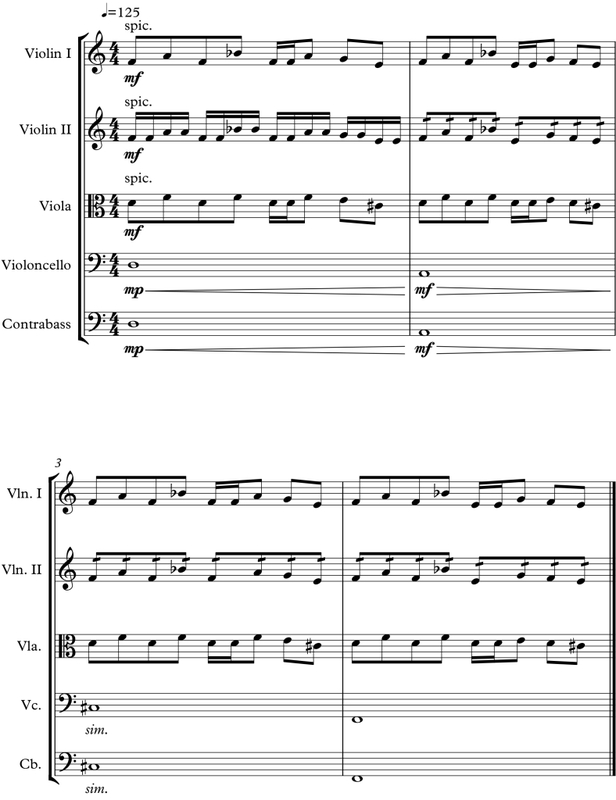 The second violins usually contain less players (in this example I used East West Hollywood Strings, and the section sizes are 16 1st violins and 14 2nd violins), thus slightly more emphasis is given to the part played by the 1st violins. Also, the sections are located in differnet positions on stage, and swapping their roles from time to time will contribute to a dynamic, lively stereo image. If desired, small modifications as described above can prevent your ostinatos from being too static throughout a longer passage. Okay, that’s it for now! Keep in mind that none of the above should be understood as a rule. As is always the case with orchestration, the possibilities are endless, and my intention was just to share some ideas on how to manipulate simple ostinatos in order to keep things interesting! I hope I could inspire some of you to try out some of these techniques in your own compositions! Feel free to share your thoughts and own approaches below! Thanks for reading, see you next time, take care! Really enjoyed this Lukas! I had not thought about combining 8ths & 16ths ostinato patterns before 🙂 Thank you for the great tutorial. 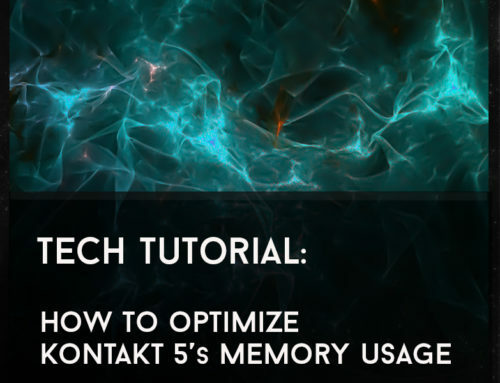 Thank you so much for taking the time and effort to post this tutorial, it is very well explained and clear to understand! Thanks again! regards!